Those of you who work during the week will soon have an opportunity to volunteer and learn in the Fruit Garden on the 3rd Saturday of each month. Mike McWilliams will be leading the volunteers. More information and sign up link click here. 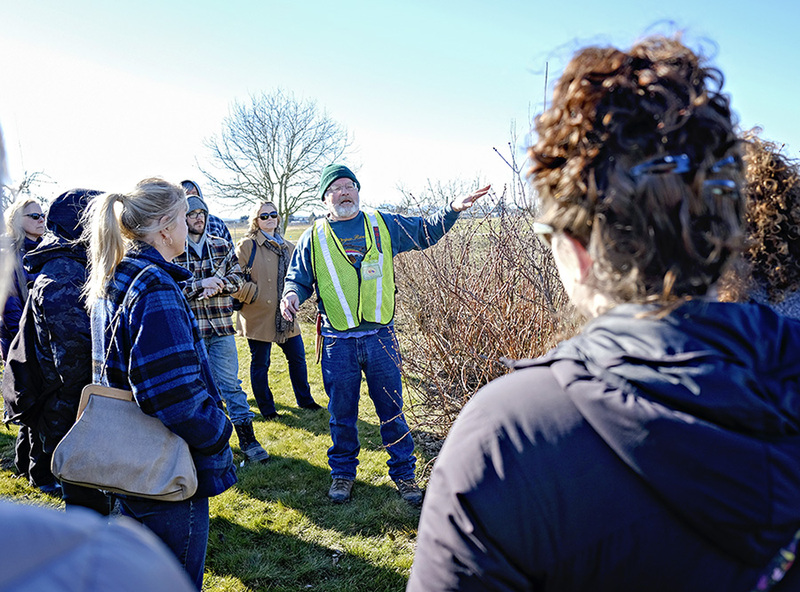 Mike McWilliams teaching about pruning at the Winter Field Day. Our Fruit Garden, located at 16650 State Route 536, Mount Vernon, WA, is open to the public 7 days a week from dawn to dusk. The Fruit Garden is west of the Discovery Garden. If you are not able to visit our Fruit Garden in person, you can take a home Fruit Garden Tour. See our blog posts for news about events and other announcements. Join the Fruit Garden volunteers!